With a charismatic demeanor and extremely expressive face, Jan Dutler brings his unique busking performance to The Wiggle Room at this year’s St-Ambroise Fringe Festival. Caravonica, a performance piece featuring Dutler’s persona of the same namesake, Caravonica the Clown, will keep you on your toes. With cleverly placed props, interesting pantomime, and skillful use of a variety of instruments, this show is something worth checking out. 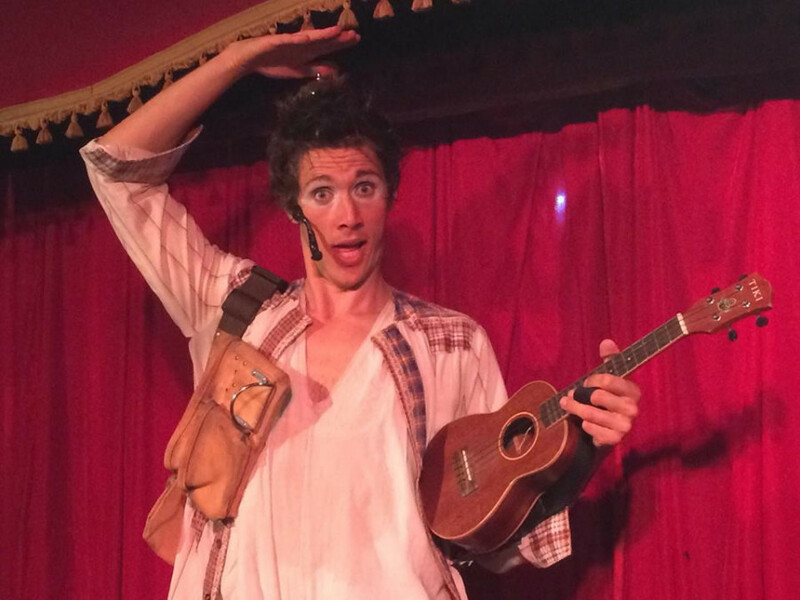 Having travelled around the world for the last decade, Dutler brings his experiences to the stage for the first time in this one-man show. Staying true to his word, Caravonica interacts with the audience throughout the show, making sure they feel welcome and involved. Often glancing at the crowd with a mischievous look, he’ll laugh—giving a sense that you’re in on the same joke. Along with a smile and laugh-inducing pantomime performance, Caravonica shows us his skillful busking style. 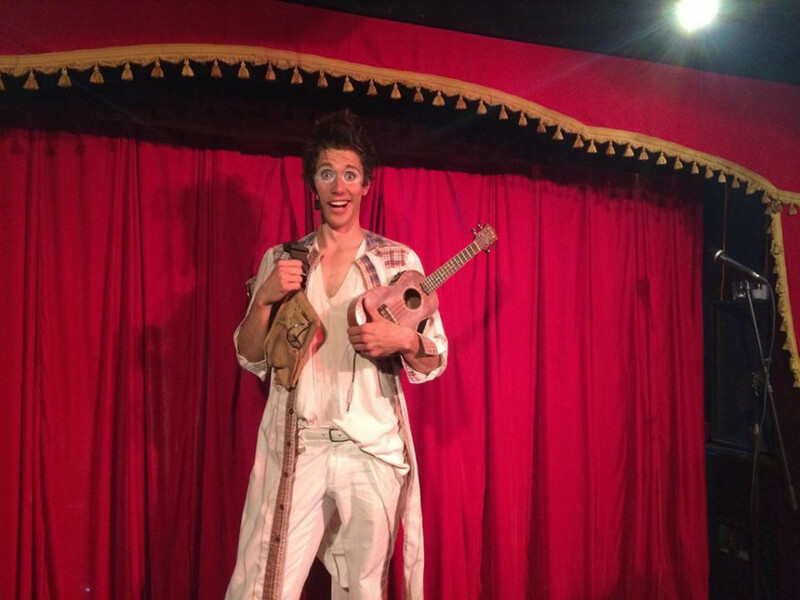 From his catchy ukulele plucking to his dual harmonica tunes, this clown seems to find instrument after instrument from all over the stage until finally combining them all into one harmonious performance. The sound-layering makes for something both catchy and fun. Using a loop panel to record different sounds and play vocal effects, Dutler incorporates all of his melodies together as the audience bounces and hollers in approval for this beat. In this sense, the performer had every right to toot his own horn—also, he beatboxes. A beatboxing clown. Needless to say, Caravonica is a highly spirited show and is engaging to watch. Dutler will pull you into his story with his boisterous stage presence, fluid change in personality and expressions, and his energetic instrumentals. Even if clowning around isn’t really your thing, you’ll have a good time just watching Caravonica be his fun and creative self.